Just like last month, Nintendo has used a video to reveal the release date for December’s batch of Nintendo Entertainment System – Nintendo Switch Online games. 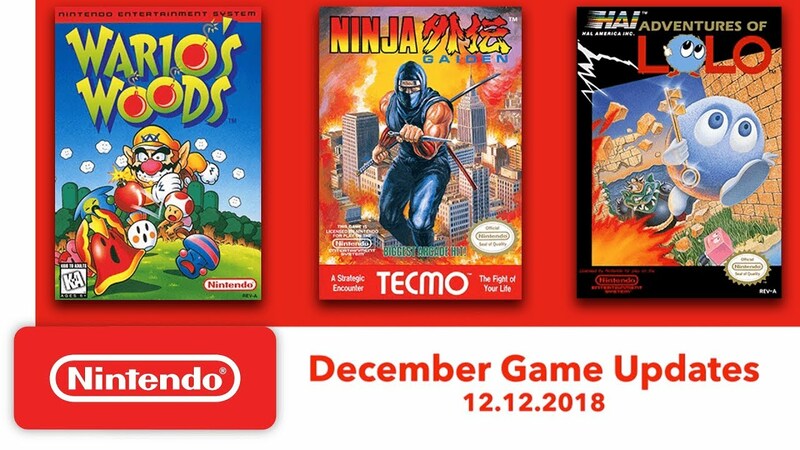 Wario’s Woods, Ninja Gaiden and ADVENTURES OF LOLO will be made available to all who have the Nintendo Switch Online service on December 12. There is no mention if there will be an SP game released alongside them, but it is expected. Furthermore, until Nintendo update the NES games schedule for 2019, we officially have no idea what the next lot of NES games could be. As soon as this changes however, we’ll be sure to let our readers know.